Russian Volume lashes are the ‘in’ thing right now so if you’re considering investing (I promise it’s worth it) here’s where you’ll want to go and more importantly, where to avoid. When it comes to spas, nail bars and hair salons, as Londoner’s, we’re spoilt for choice. But as far as Russian Volume lashes go (a highly specialised type of synthetic extension, named after their Russian creator) it’s a different story. 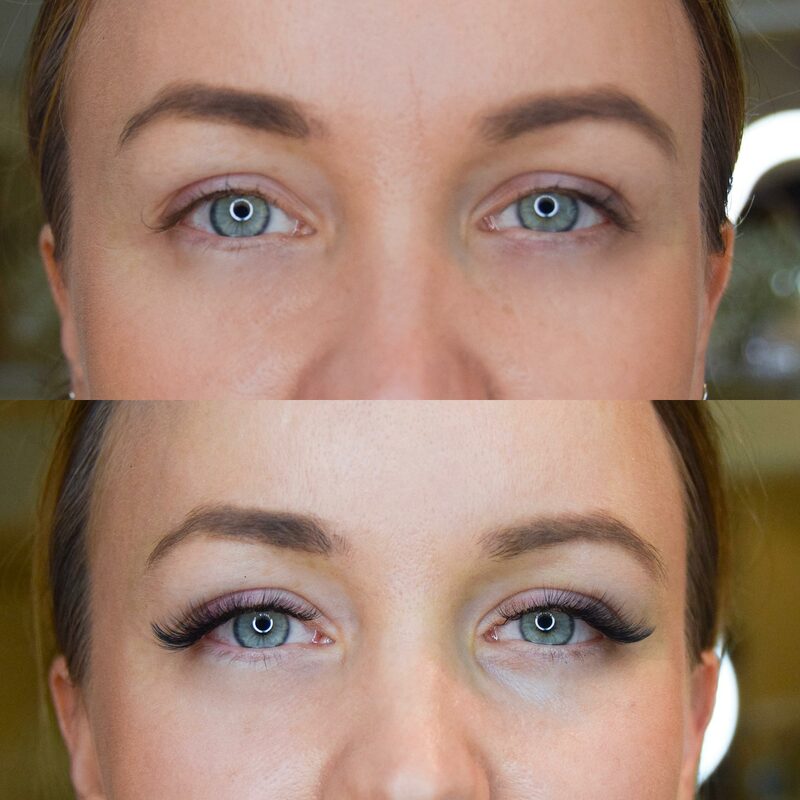 I’ve been slowly working my way around London’s Russian lash scene and let me tell you, reputable, properly trained technicians aren’t as easy to find as you’d think. Prima is one of London’s top lash extension salons. Why? They offer lashes and lashes only, meaning everyone there has received specialist training – at least 6 years to be exact. They’re true experts in their field. Be wary of any beauty salon offering lash services as a bolt on – especially Russian Volume sets. It’s an advanced technique that requires years of specialist training and an expert eye. In short, therapists doing facials, manicures and blow-dries, who also provide Russian volume lashes, should make you think twice. Prima knows better. The friendly team create dreamy lashes with industry-leading tools and techniques. As well as Russian lashes, Prima also offers classic lash-on-lash extensions if that’s your thing. I prefer to go Russian as the lashes are much finer and softer, give a natural fullness you won’t achieve from a classic set and they’re the kindest type of extension for your peepers. 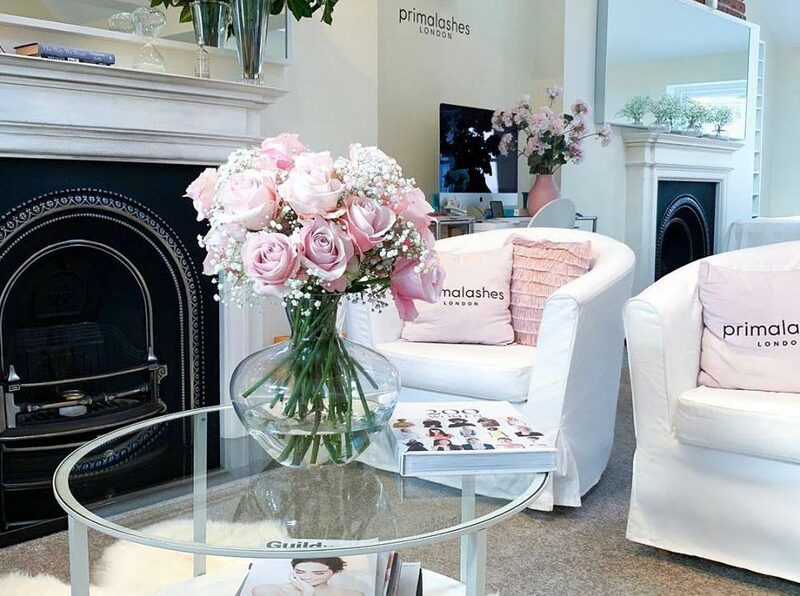 Prima Lashes is set in swish Mayfair on glamorous South Molton Street. With designer shop fronts as far as the eye can see, you’ll feel like a VIP before you’ve even walked through the salon doors. 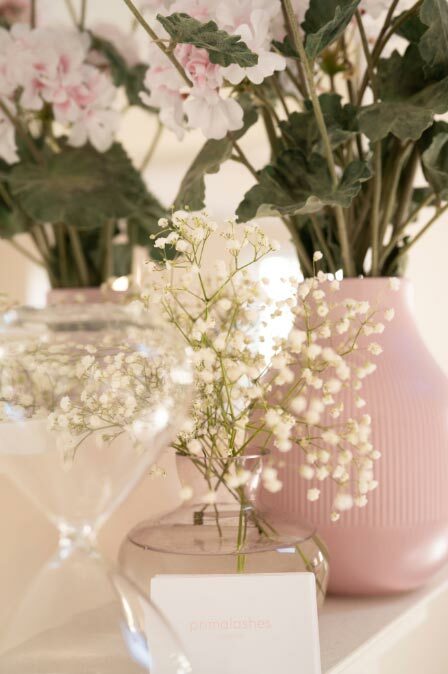 Once inside there’s a serene, spa-like atmosphere (you’ll have no trouble drifting off while your technician gets to work) and the décor is gorgeously chic. I was lucky enough to have my lashes applied by salon founder and lash extraordinaire, Priscilla. The process starts with a consultation and your technician will check the condition of your natural lashes. We chatted about my desired look and Priscilla showed me the lashes and explained how classic and Russian sets differ, and how they’re applied. 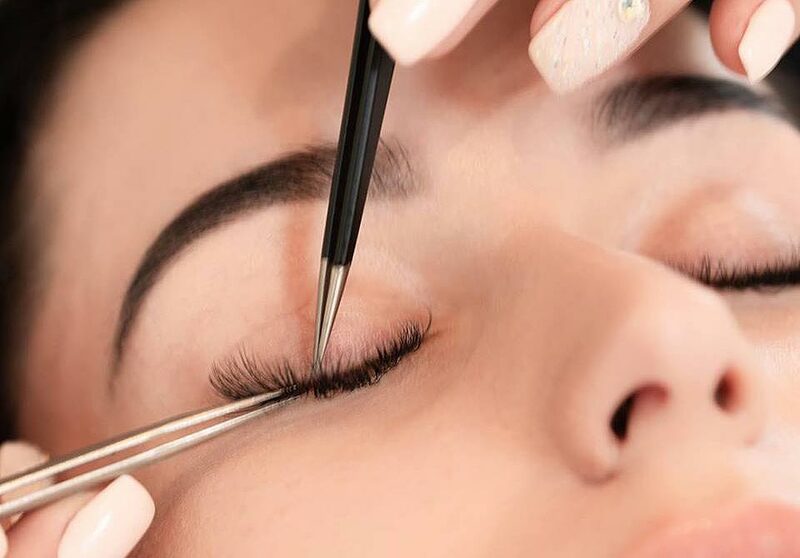 She explained that a lot of clients aren’t sure what they want, but you can count on Prima to give you the full low-down and recommend what’s best for you, taking the condition of your lashes, your eye shape and make-up routine into account. It’s an in-depth consultation that not all salons offer with each set customised to you, including fullness, density, length and style. I showed Priscilla a photo of a lash set I liked and without giving the ending away, she delivered exactly the look I’d been looking for, all from a quick glance of a photo. She’s a true master. Treatment time can range from 90-120 minutes (or longer for extreme volume) but with Priscilla’s speedy and steady hand, I barely felt a thing. I even nodded off. I adore my new lashes. They’re wispy and curvy without a hint of fakeness. They’ve given me a real boost in confidence and I barely notice them there. Aftercare is simple; wash your lashes regularly with baby shampoo and brush them daily with the styler provided at your treatment. Avoid mascara and heavy eye make up – not that you’ll need it – and book in for a top-up every two to three weeks to maintain the look. Prima Lashes is my new central London go-to that just so happens to be in perfect footing to meet friends afterwards. Do the same and be prepared for the compliments to flood in. Prima Lashes – Where & How? Prima Lashes is located 16 South Molton Street, Mayfair W1K 5QS. For bookings or to find out more, visit www.primalashes.com call +447949124377 or email prima@primalashes.com.